What Does It Take To Pick The State of Michigan Christmas Tree? Today we are speaking to Heath Miller from the State of Michigan Department of Technology, Management and Budget about the process that the Department takes to find a tree every year. Have you ever wondered what it takes to select the State of Michigan Christmas Tree that is lit at the end of the Silver Bells in the City Light Parade and which sits in front of the Michigan State Capitol? 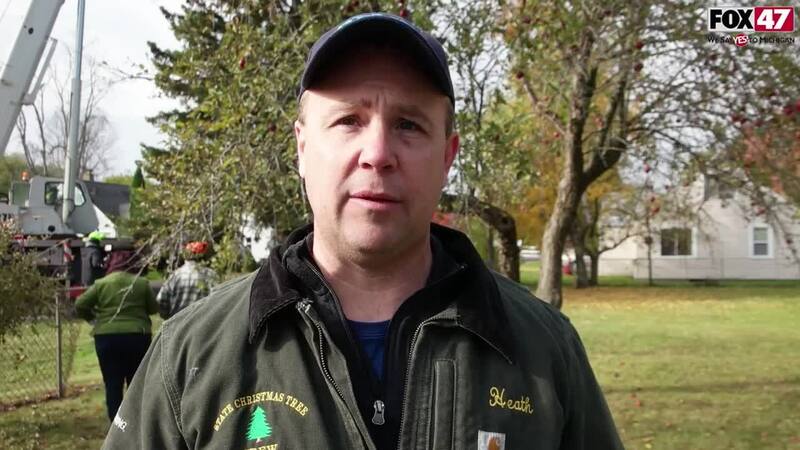 We were able to talk to the Heath from the Michigan Department of Management and Budget which is in charge of this process and he let us know how they found this year's Christmas Tree. Come and watch the State of Michigan Christmas Tree get lit in person this Friday at 6PM in downtown Lansing, or watch from the comfort of your home LIVE on FOX 47.